The Golf de Roquebrune Resort is situated between Cannes and Saint Tropez. Peacefully nestled in completely natural surroundings, this course allows you to mix the passion for the game with a relaxing walk. Registered as an official 18-hole course by the French Golf Federation, Golf de Roquebrune offers views of the Argens plains that are particularly breathtaking. 35km north of Saint-Tropez. 40km south west of Cannes. Professionals: Benjamin Postigo and Sylvain Ramella Cravaro. 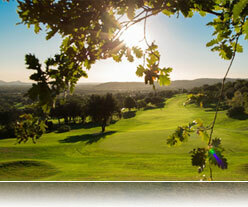 Golf de Roquebrune Resort is situated at the foot of the Maures. The fairways have acquired the natural rise and swell of this region, offering golfers a great game of golf an at the same time enjoying the scenic views of the Frejus Bay. Played the 9-18 holes in July 2004 at 7 in the morning. 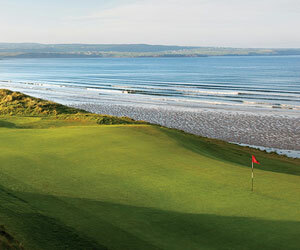 Though course, relatively small fairways,up- and down hill holes. First time I was attacked by surprise by a sprinkler on the fairway!